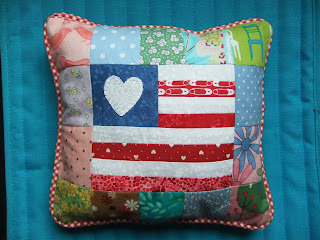 cotton confetti: Ready for the fourth of July two thousand and twelve!! Ready for the fourth of July two thousand and twelve!! 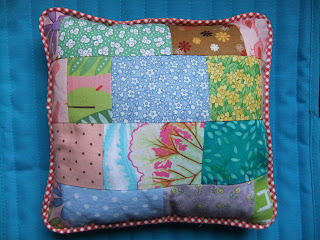 This little pillow was started on my American Sewing Day on 3 July 2011 and it's still July, so I'm doing well and it is now finished!! 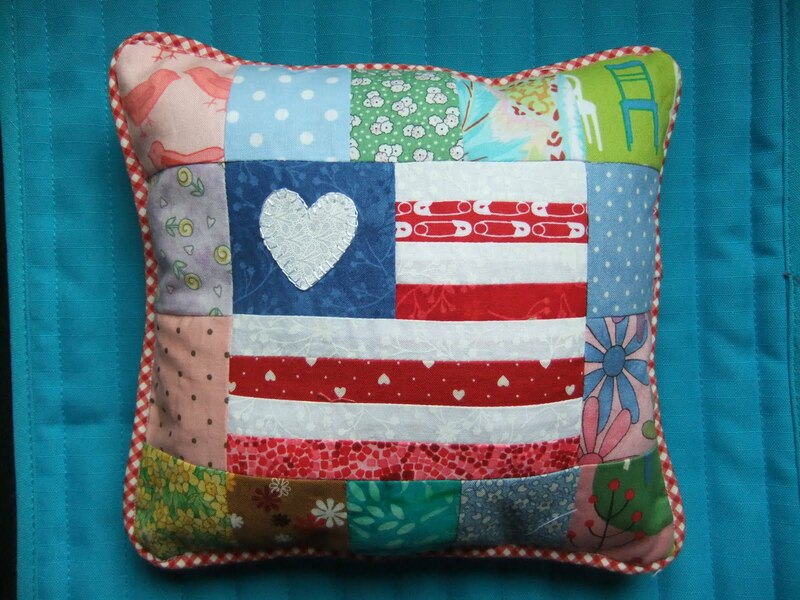 This is the front, the heart is applique and the rest pieced. Piping around the edge - I don't have a piping foot for my machine, so will have to try and get one to see if it works better than a zipper foot. The back is pieced from random rectangles of fabric used for the border on the front. 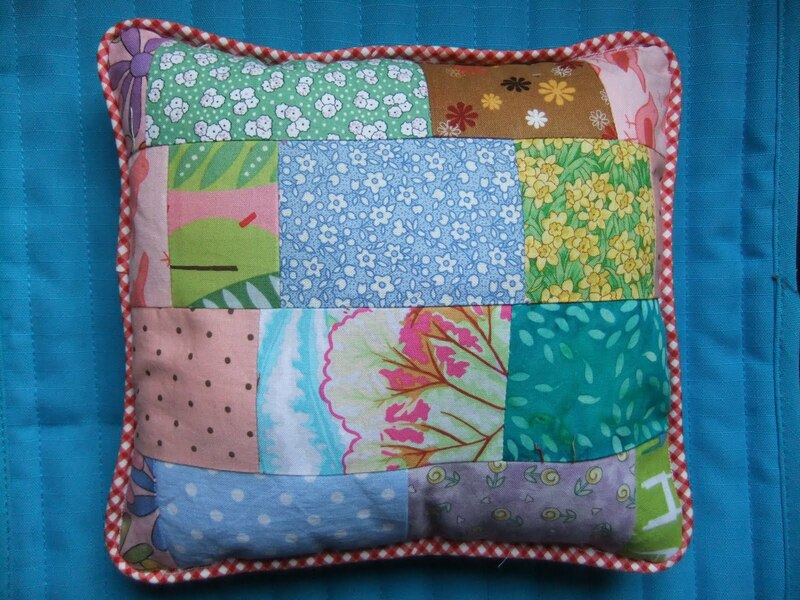 Those are lovely pillows - I reaaly like the safety pin fabric.